CONTRARY to popular belief, the now deceased Planning Commission was not a legacy of Jawaharlal Nehru. The blueprint for this institution was outlined by Netaji Subhas Chandra Bose in his presidential address at the Haripura session of the Indian National Congress in February 1938. Netaji envisaged that the first task of the government of free India would be to set up a ’National Planning Commission’. In pursuance of his thought, which had received the endorsement of the AICC, Netaji set up a National Planning Committee in December 1938 and appointed Jawaharlal Nehru as its chairman. Differences of perceptions and opinions between Netaji and Nehru has been widely discussed. But these differences did not deter Netaji from recognising the potential of Nehru, who was emerging as a favourite follower of Mahatma Gandhi and was appointed the head of the body which was Netaji’s dream. 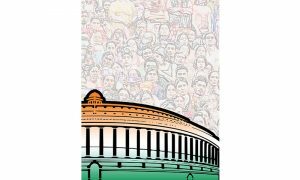 As freedom dawned, in pursuance of the Haripura resolution of the AICC, an Advisory Planning Board was set up by the Nehru-led interim government in 1946. In 1952, the Planning Commission came into being. Neither in 1946 nor in 1952 did anyone recall the role of Netaji. Thus, when Niti Aayog was formed, it was perhaps not surprising that Subhas Chandra Bose was overlooked. It may, therefore, be appropriate to sanctify the creation of Niti Aayog by renaming Yojna Bhavan as Subhas Sadan. It will be a fitting tribute to the memory of a leading freedom fighter, who, due to the myopic realpolitik of an era which has recently gone by, was ignored since 1947. Yojna Bhavan stands on Sansad Marg, almost adjacent to Patel Chowk. A commemoration of Netaji Subhas in the proximity of the memorial to Sardar Patel will give a hallowed status to this part of the capital of India. It will also be a monument to the spirit of Haripura, the venue of the 51st Session of the Indian National Congress, which is situated on the banks of the Tapti in Surat district of Gujarat. Haripura was chosen as the venue by Vallabhbhai Patel as it is in the proximity of Bardoli, where the Sardar had led a historic farmers’ satyagraha a decade earlier. The concept of planning in India therefore engulfs the memory of three giants—Netaji, Sardar Patel and Nehru. Niti Aayog is not contrary to the thought process of Netaji, who had advocated a strong Central government backed by meaningful regional autonomy. Cooperative federalism was the underlying principle of Bose’s Haripura address. He reiterated it while addressing Tokyo University students in November 1944. In 1997, which coincided with the birth centenary of Bose and the 50th anniversary of India’s independence, this writer, then serving the Planning Commission as a senior consultant, suggested to the then Deputy Chairman, Prof Madhu Dandavate, that the contribution of Bose be commemorated. On January 23, 1997, the Planning Commission published a book, Subhas Chandra Bose: Pioneer of Indian Planning. This compilation is a rare tribute paid to Netaji in free India. 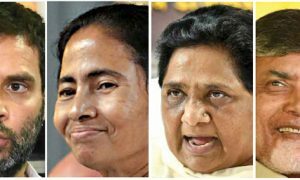 Being a progressive who opposed obscurantism, Netaji may not have lamented the demise of the Planning Commission today—he perhaps would have hailed the dismantling of the old for the creation of the new. Why Subhas Sadan and not Bhavan? Kolkata’s Chittaranjan Avenue has a building, Mahajati Sadan, envisaged by Netaji—he made Tagore lay its foundation stone in 1939. His decision to go into exile halted the construction. It was completed by Dr Bidhan Chandra Roy, post-Independence. 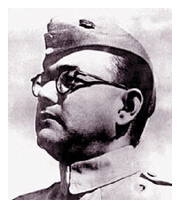 As Sadan was preferred by Netaji to Bhavan, a memorial to him in the New Delhi area may well take a name he preferred. It will also be a commemoration to his historic ‘Chalo Dilli’ clarion call to the Azad Hind Fauj.